Over the last few years, I've trained dozens of individuals on Twitter best practices and tips. Some of them were tweeting for themselves, others on behalf of organizations or small businesses. They all held in common many basic areas of confusion concerning Twitter best practices, no matter what their area of expertise. So in order to better streamline this process, (and be prepared for the next round of students), I have taken the liberty of organizing my best tips here for those just starting out. I hope beginning tweeters will find these useful, and I plan on a Part 2 blog post coming soon on frequently asked questions about Twitter. In the meantime, please enjoy these tips, and feel free to follow me @carriewriter. Platform and posting tools: Try to avoid tweeting using Twitter plain, but opt for 3rd party platform such as Hootsuite, Tweetdeck. Buffer is my favorite app for scheduling tweets when I'm busy. Don't know who to Follow? Take Twitter up on its suggested Followers to start with, you can always be more discriminating later. Also, merge with your Contacts in your Gmail and address books to connect with those you are already communicating with. Save time by using the best tools out there for your purposes. Many of those proficient on Twitter only tweet a few minutes a day. 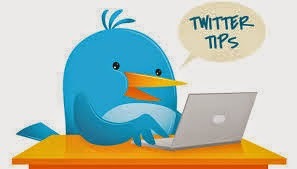 Do you have more Twitter tips and resources? Share in the Comments, and happy tweeting!